The standard routine for many American families leaves most of the day totally booked. Work, commutes, and children’s activities often leave you barely able to catch your breath, much less tend to your lawn. With so many pressing commitments, it’s easy to let lawn and garden concerns slide down the priority list. A full-service lawn and landscape maintenance program in Kansas City with a well-formulated plan allows you to take maintenance concerns off of your to-do list. It also lets you actually enjoy the time you are able to spend outdoors here in Kansas City. A maintenance plan not only saves you time but also provides a holistic approach that ensures your property receives the care it needs when it needs it. Not piecemeal, not haphazard, but a balance that will result in stronger plants, trees and shrubs year after year. 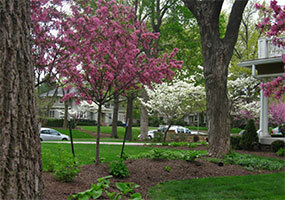 Kansas City home and business owners, landscaping is an investment that you have already made in your property. It only makes sense to look after it as best as possible. A comprehensive maintenance plan in Kansas City from Summit Lawn and Landscape lays out a detailed schedule of your property’s needs. Following a plan maximizes the value of the services rendered by ensuring they are carried out at the right times. Planning also allows you to know what to expect budget-wise, as maintenance needs are tackled proactively before they become larger issues. 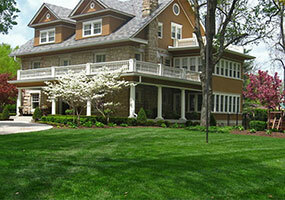 Your lawn and landscaping should be yours to enjoy. Home and business owners of Kansas City, you have enough on your plate already without constantly struggling to keep up with maintenance needs. Lay out a maintenance plan with Summit Lawn and Landscape and leave the heavy lifting to someone else. Ready to start your project? Click here to contact us today or send us an e-mail. Summit Lawn and Landscape is ready to help!